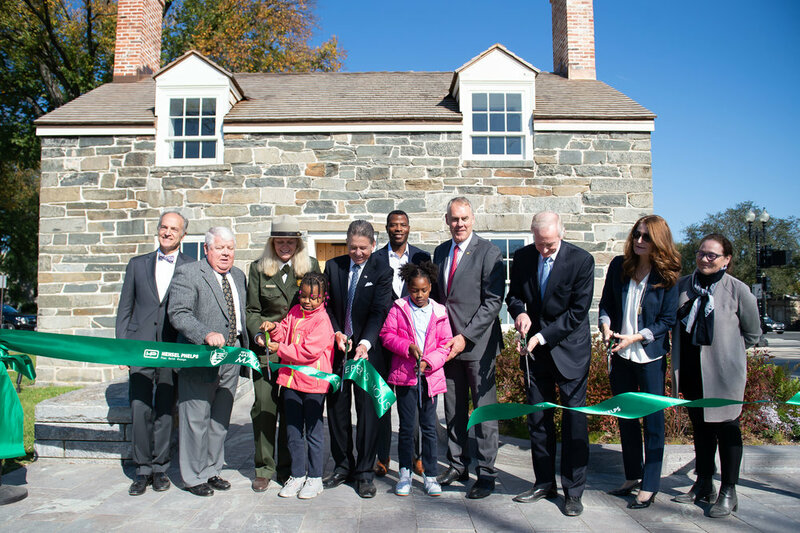 Today the Trust for the National Mall and the National Park Service marked the official opening of the restored Lockkeeper’s House with a ribbon cutting ceremony. The oldest structure on the National Mall has been the subject of a major restoration project for the past year and a half that has transformed the house into an educational and visitor contact location on the National Mall, showcasing the history of civics, commerce, development, and ecology on the storied site. Untouched for more than 40 years, the house is now open to visitors as a gateway to the National Mall, with planned hours of operations to include Monday through Thursday from 1–4 p.m. and Friday and Saturday from 10 a.m.–4 p.m.
More than 100 supporters were on-hand for a brief press conference featuring remarks from U.S. Secretary of the Interior Ryan Zinke, D.C. Councilmember Jack Evans (Ward 2), Destination DC President & CEO Elliott Ferguson, Acting Superintendent of National Mall and Memorial Parks Patricia Trap, and Trust for the National Mall Chairman John E. “Chip” Akridge and President & CEO Townsend. 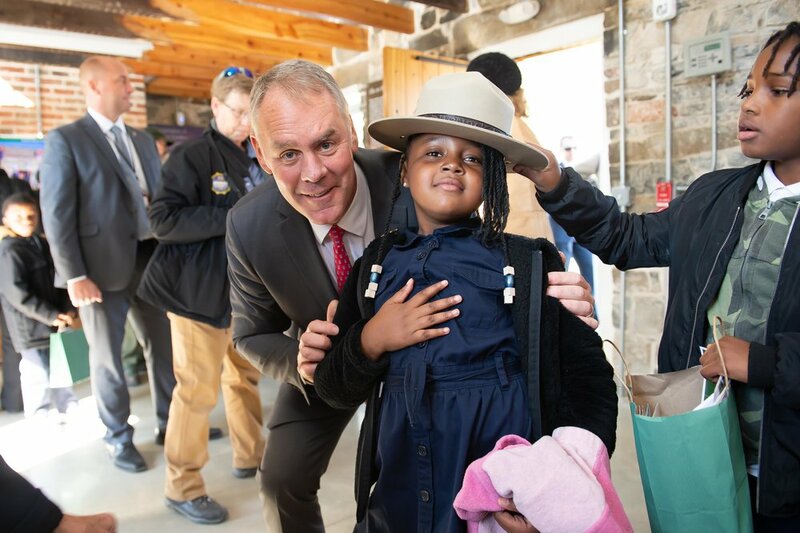 Third grade students from Aiton Elementary were the first school group to tour the new site with a park ranger. 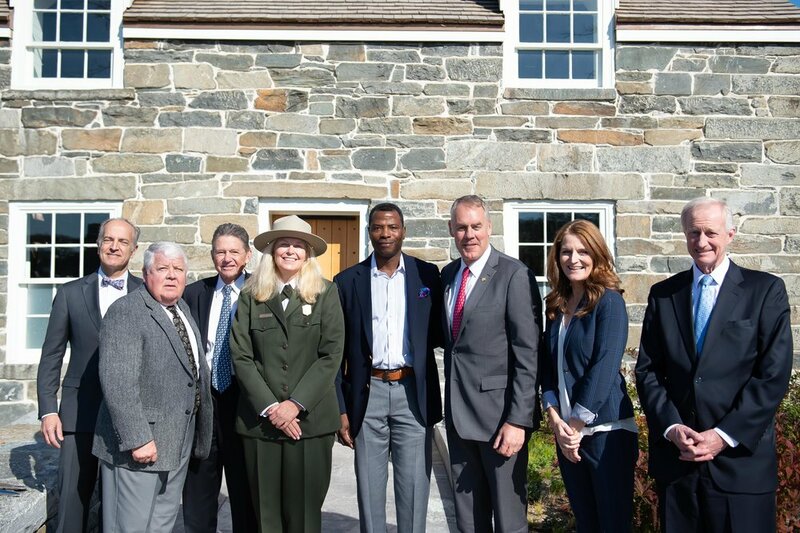 For more than 20 months, the Trust for the National Mall led a team of architects, engineers, developers, construction workers, and historic preservation specialists to complete a holistic restoration of the historic house. First, the weight of the house was reduced by selectively demolishing non-historic portions of the interior. As a foundation was laid for the new location, the structure was braced with multiple beams along the length and width of the house. Concrete blocks were temporarily installed in the windows and doors to help maintain the structural integrity of the house. Last October, the house was moved approximately 36 feet to the south and then 35 feet to the west using a hydraulic system. Aligned with the new foundation, the bottom of the house was carefully rebuilt. All stones were cleaned and repointed with new mortar created using samples of the original mortar. The roof was replaced with new cedar shingles and the fireplaces and chimneys were reconstructed using historic brick, restoring the structure back to its original design. A new plaza with seating walls was constructed and the landscape reinvigorated with a 25-foot tall willow oak tree and perennial plantings. Granite stones were installed in the sidewalks and street to outline the two previous locations of the house, bringing forward that piece of history into the contemporary visitor experience. The inside of the house was finished with a polished cement floor, wood frame windows, and large oak doors with wrought iron details. Temporary educational boards have been installed to educate visitors on the history and future of the site. Permanent digital educational displays are in development now. By preserving the Lockkeeper’s House, we have chosen to save a critical part of our shared history. Limited public funds were not sufficient to relocate and restore this humble structure on the National Mall. This project has been funded through private donations with generous support from S.D. 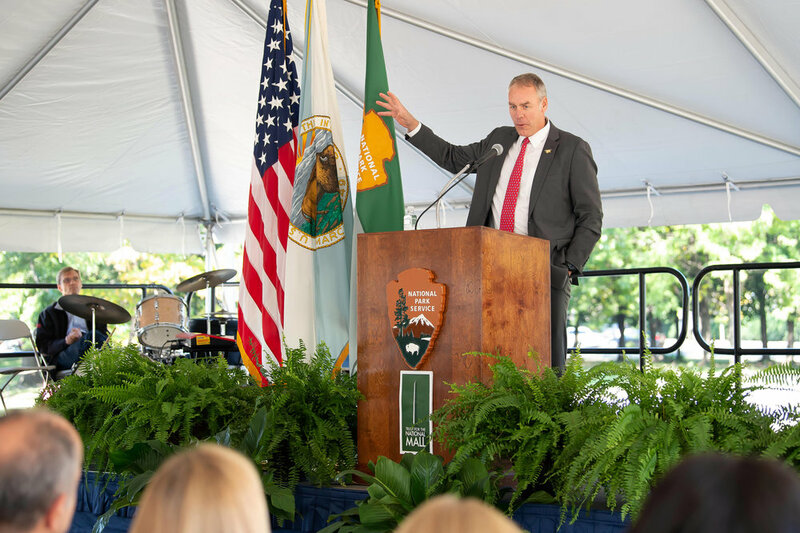 Bechtel, Jr. Foundation, Volkswagen Group of America, Akridge Family Foundation, American Express Company, A. James & Alice B. Clark Foundation, Dr. Scholl Foundation, the Honorable C. Boyden Gray, and others.